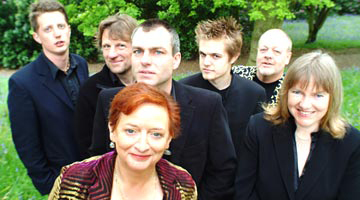 If you are looking for a lively time at your wedding, corporate or social, or a popular professional ceilidh band for your festival or public event, ThingumaJig has the right package for you. 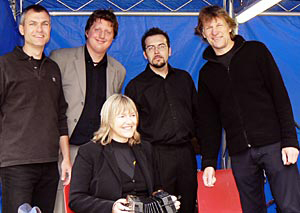 See for yourself why ThingumaJig has become one of the most popular Ceilidh bands in the South East! Foot tapping music, dances and songs from Scotland, England, Ireland and America, played on a fascinating variety of instruments. A Ceilidh or Barn Dance never fails to get everyone involved and makes a success of any event. You can leave it to ThingumaJig to get everyone joining in, and make the night go with a swing! John and Liz use radio mics to get down amongst the dancers, demonstrating and encouraging everyone, and call the dances from the floor. Regular callers John & Liz Scholey call and demonstrate the dances, are on hand with percussion and together make sure everyone has a chance to join in the fun. Inexperienced dancers are not a problem, ThingumaJig will suit the dancing to the ability of the dancers, whether it is for complete novices, or seasoned folk dancers. We can also flavour the event in whatever way you like with American, Scottish, Irish or English music and dances. 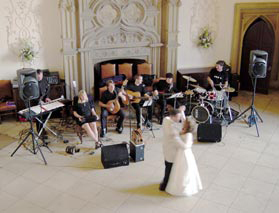 From your local village hall to a folk festival concert stage, from a marquee in the garden to a prestige venue such as the Institute of Directors in Pall Mall or the Law Society in the City of London, the band is comfortable in any kind of venue big or small.